Two sisters with a vintage camper and all the art and craft supplies it will hold. Hi fellow Scrappy Camper Sisters! Thank you for all our crafty friends who joined us this morning for our Ustream show where we unveiled our NEW year long event for next year! 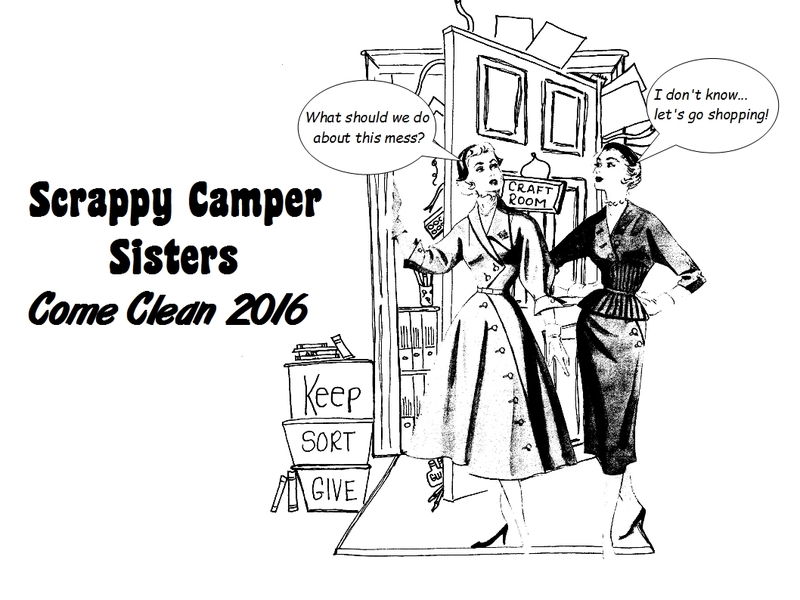 Come Clean 2016&#8482, a year filled with project ideas, organizational tips and encouragement and our new Stick It Down Challenge Crafter's Edition all in one place! 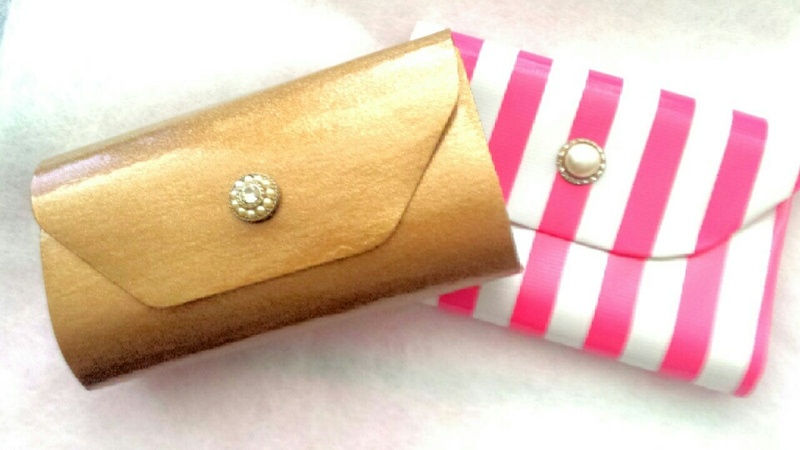 We kicked things off with our first project: The Purse-dori!! We have planned a HUGE project for 2016 and we are going to launch it LIVE on Saturday December 12th so we will not have class this Saturday, I am sorry. We hope you join us for the unveiling of our 2016 project Saturday morning at 10 a.m. EST. I might do a live remote though for a little bit this Saturday with a shout out from a few special guests so make sure you follow us on Social Media so you don't miss out. 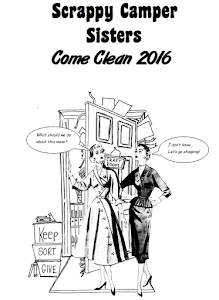 Come Clean 2016 E-Book is here! Get organized, declutter and use those craft supplies. This is your year! 2012-2014 ScrappyCamperSisters,LLC The contents of this website, including text, photos, and artw . Simple theme. Powered by Blogger.